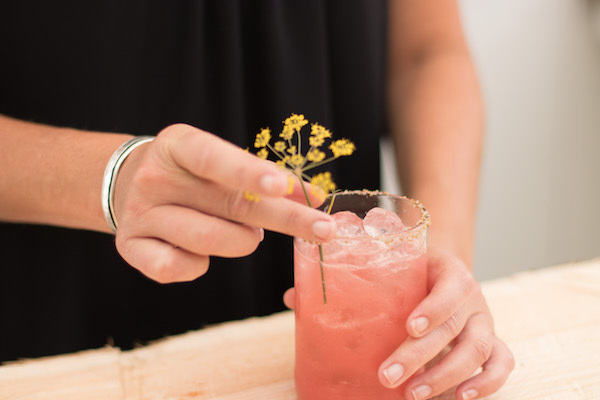 Another tasty creation from on-staff Sommelier Emily Jo Larkin, this Heirloom Tomato Margarita uses peak season heirloom tomatoes and fennel seeds to create a dynamic flavor combination. 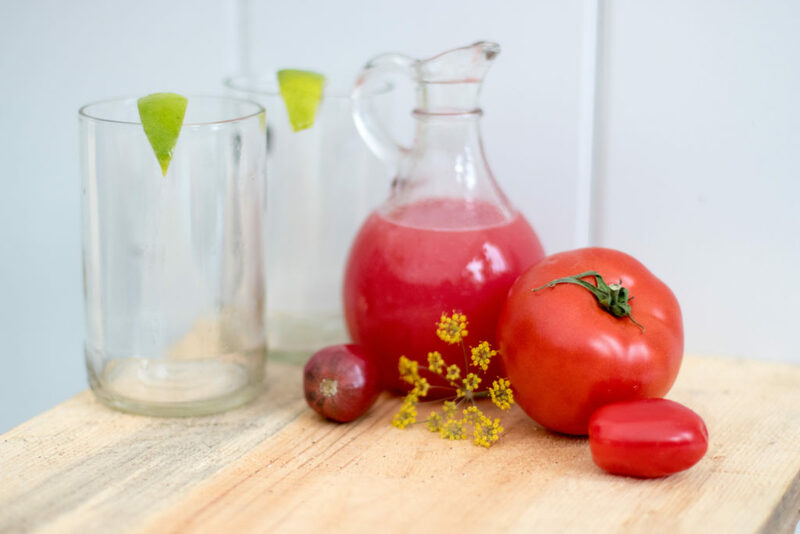 The tomato water is a subtle yet delicious way to incorporate one of our favorite fruits of summer. We hope you enjoy this drink as much as we do. Enjoy! Method: Use lime to wet rim of each glass. Dip wet glass edge onto a small plate containing the fennel salt. 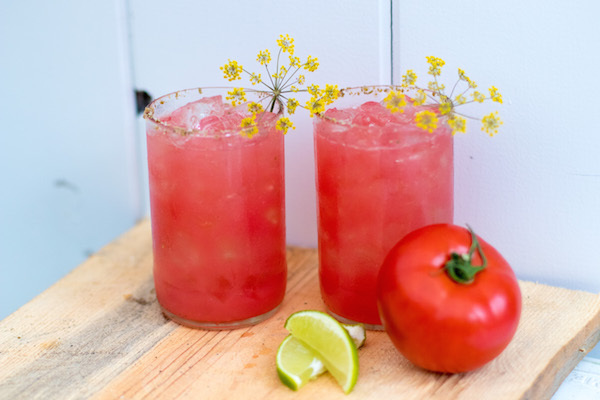 Combine tequila with tomato water, lime juice and agave in a cocktail shaker filled with ice. 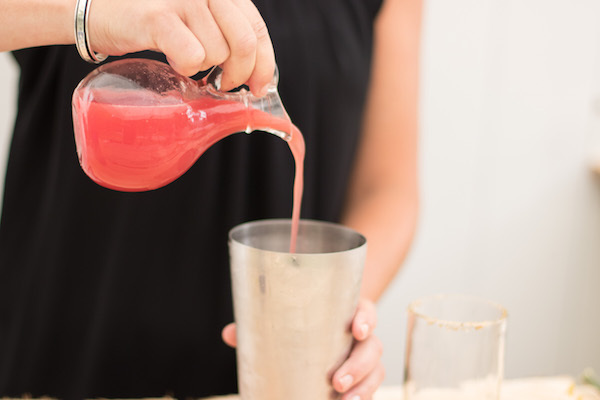 Shake and pour into fennel-salt rimmed glassware. Serve & Enjoy! Pulse 4 medium red heirloom tomatoes in a blender until they are a rough puree. Strain with fine strainer or multiple layers of cheesecloth. Discard solids. Will keep one day but is best if used immediately. This amount will make 2 cocktails. Use equal parts salt to fennel seed. Dry roast the fennel seeds in a saute pan over medium heat to release the oil, then add seeds to mortar or coffee grinder. Grind till almost the consistency of coarse salt, add Maldon sea salt to the seeds and finish pulverizing until a uniform consistency is reached. Store in an airtight jar.